Protection from chemicals & dust. High resistance to shock and vibration. SCR's: Precise proportional control of resistance heating loads. 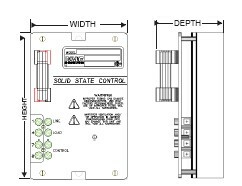 SCR's provide reliable voltage control solutions for a wide varitity of heating applications. 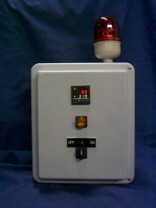 High inrush heating loads can be brought on line slowly with a "soft start" or ramp up to voltage. 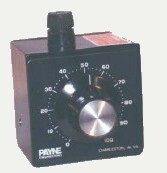 Payne offers features that make SCR's reliable for today's manufacturing enviroment. Large Specially engineered Heat sinks allow higher temperature tolerance. Surge Protection: "Vbo Clamping" protects semiconductors against transient voltages regardless of PIV ratings and without MOVs. Short Circuit Protection: factory-tested sub-cycle, "2 millisecond" current-limiting fuses protect the power semiconductors against short circuit damage.